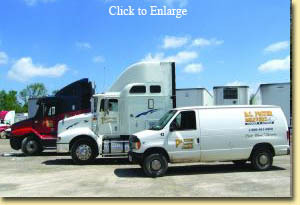 Transportation Specialists meeting your specific needs for over 30 years. "A Load on our Truck - A Load Off Your Mind"
Paxton Transport Limited provides commercial/industrial service to all points in Ontario and U.S. border states. We can transport anything from an envelope to a truckload. With over 30 years experience and a large fleet of vehicles of all sizes, from small delivery vans - cube vans to tractor trailers and straight trucks, we are equipped to handle your freight transportation needs quickly, safely and economically. We are affiliated with a network of transport and courier companies across North America. Call us for all your freight forwarding needs.